It was a rainy summer’s day, but the weather didn’t dampen anyone’s spirits with this beautiful, unique wedding… Pieter and Mart-Marie tied the knot in Wakkerstroom – the perfect setting for this gorgeous couple. It was a beautiful day in Bethal and I got to capture this amazing couple’s special day for them. 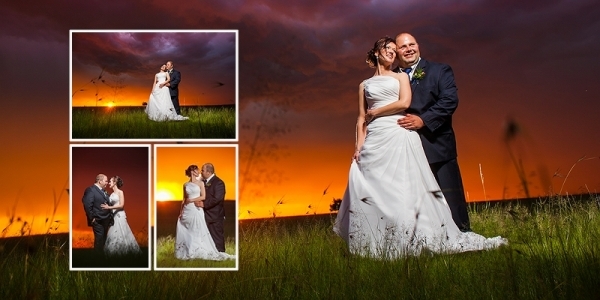 Typical Highveld thunderstorms occur in the late afternoon and just as we started the couple shoot the skies turned into magic. I couldn’t contain my excitement & knew this was going to be epic. I was counting down the days for this black tie wedding in the most beautiful setting a photographer could wish for. Gerick and Angeline got married at the beautiful Oranje Guest Farm in Clarens. It was a gorgeous day with yes… an absolutely gorgeous couple! These two people are different in the most amazing way. Thank you for having me, I wish you all the best for your future as you enter this new phase in your lives as a married couple. Petrus recently went to the breathtaking Perdekraal Wedding Venue near Ermelo to photograph the union of Conrad and Bronwyn. The couple was even more breathtaking, and the day provided some spectacular moments, complete with golden sunsets and beautiful horses. Their entire family is simply gorgeous, and we wish you all the best for a wonderful future together! Petrus went on a weekend excursion to to capture the union of André & Tanya, at the picturesque Bahri Wedding Venue in Parys, Free State. Their love for one another was evident for all to see, and it was with great joy that they both said their vows. The charm and beauty of our surrounding, provided a perfect backdrop for some awesome photo opportunities. We wish you guys all the best with your future together! Designing a wedding album is always so special and it’s always fun to relive the memories of a couple’s special day. It is no different for Reynhardt and Janey’s album. Upon meeting Reynhardt and Janey for the first time, I knew that the day was going to be spectacular. We had quite a day, driving to Ermelo for a wonderful ceremony and then to Bethal for the reception, which was held at Grasslands. It was wonderful to see the purity and sincerity of their love for one another, and it was a huge privilege to be part of this new beginning in their lives. This was a day I was looking forward to for such a long time! When my good friend, Linda asked me to capture all the memories of her and Jurie’s big day, I was over the moon! Timbavati White Lion Breeding Center, near Polokwane and deep in the heart of the bushveld, provided the scenic setting for this wonderful day. It was so awesome seeing my friend again, and besides all the stories we could share, her amazing entourage made me feel so welcome and at ease. There was just so much happiness from everyone and the sparkle in Linda’s eyes was something special to see. It was a privilege to be part of such a special occasion! Deirdré Maré - FABULOUS fotos!!!! Ria Fanoy - Jou fotos is bitter mooi. Wel gedaan. 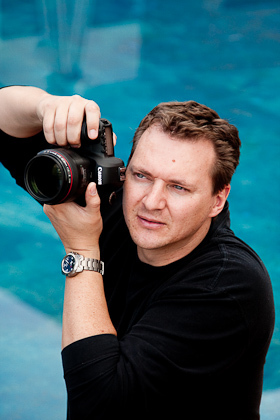 Jan Fanoy Pr Eng - Uitstekende fotos wat ‘n pragtige dag se verhaal verbeeld. Hoop daar is nog. We had the privilege to capture these special moments for Mohammad & Melody! Have a look at the Wedding Album we designed for Japie and Ingrid’s special wedding! Always a pleasure to design Wedding Albums, especially if the couple is as stunning as Corné and Geraldine! It’s not often I’m asked to take someone’s wedding pictures years after they were married, so when Mohammad and Melody asked me to do it, I jumped at the opportunity. This beautiful Iranian couple, so in love after all these years, combined with the beauty of Avianto, made for some stunning shots and wonderful memories. It was such an honor to be a part of this intimate, most amazing afternoon. Leandra and André are very good friends of mine and I immediately got excited with the idea of their wedding. Seeing they’ve been dating for quite some time (it’s probably an understatement…) we couldn’t wait for them to tie the knot! It was the perfect day spent with friends and family. Laughs and prayers. Well wishes and tears of happiness. Joanne - Beautiful – so much emotion and detail captured. I was so excited but also nervous for this day because it was my first official wedding for PS Photography! My nerves were quickly settled though, because Geraldine and Corné is such a super fun couple to work with. They both compliment each other so beautifully and I wish them many long and happy years together! T he day had finally arrived for Japie and Ingrid to tie the knot. Bluegum Country Lodge in Bethal was the setting for the happy couple’s special day. And special it was! The fact that it was raining could not dampen the joy of everyone attending and the tangible outpouring of love between bride and groom. As usual I had such fun capturing their memories and it is a privilege sharing them with you. edelweiss de beer - hi daar – waar is jy gelee? my dogter trou in potchefstroom 28maart2015. kan jy moontlik jou pakette vir my email? Here is the album we designed of Martin & Engela’s beautiful wedding. I have known Lizelle for fifteen years, where we first worked together at Sastech. In keeping with the personalities of the couple and their kids, everyone had great fun and it was surely a wedding to remember. Marianne Hartman - WOW!! WOW!! WOW!! Dis huil-mooi vir my! Dankie Petrus dat jy daardie dag vir ewig vasgele het. Dis werklik baie baie pragtig! Petrus - Baie dankie Marianne! Dis ‘n groot plesier!! !